Bis auf ein paar kurze Einträge, habe ich es nie fertig gebracht hier etwas über workeer, meinem Bachelor Abschlussprojekt, zu schreiben. Für meinen Arbeitgeber Edenspiekermann tat ich jetzt aber genau das, weshalb ich den Eintrag, der ursprünglich auf der Edenspiekermann Webseite im Magazin erschien, der Vollständigkeit halber nun auch hier posten kann. 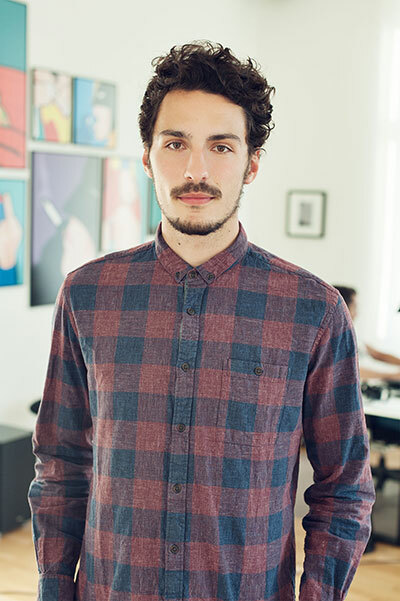 Our designer David Jacob built Workeer, a job board for refugees as his bachelor thesis. We asked him to write an article about it. Communication Design has always been more about solving problems to me, than about getting lost in design aesthetics. So when it was time to start working on my bachelor thesis, I took the chance and aimed at creating a real product. Something that might actually have an impact out in the real world and would keep existing when my studies are done. 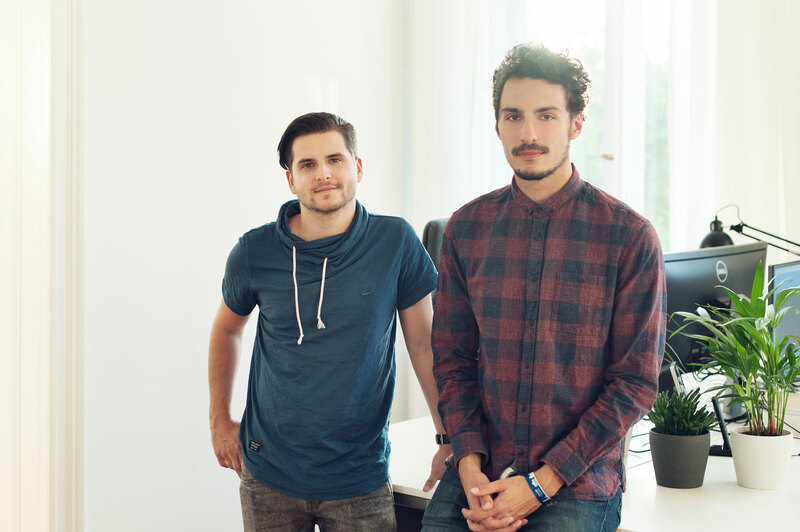 I teamed up with Philipp, fellow student and former internship colleague of mine at Edenspiekermann and together we started working towards that goal. Being very politically interested and considering the current importance of the topic, it soon became clear that we wanted to build a website that would support refugees in Germany. Seeing the amount of problems existing about the current refugee situation, we were certain that this could be our chance to create something valuable for refugees in Germany and the Germany society itself. We spent the first month on doing some intensive qualitative and quantitative research with the goal of understanding all the problems about the refugee situation. We talked to refugees, very motivated initiatives, organizations and representatives of the state administration. And clearly there was a wide range of issues to tackle. From support in bureaucratic questions to finding a place to live or learning the German language; all of them were very important. But there was one issue people kept mentioning over and over again that really stuck with us: finding a job. Whoever we talked to, we kept on hearing: “Refugees really want to work and find a job to build up their own independent life here!”. Therefore the idea to build a job board that is tailored especially to the needs and prerequisites of refugees, but also for employers who are interested in giving them a job seemed like a really good one. And that’s what we did. After another round of research, including employers and experts on work placement this time, we finally felt confident about all the input we got and began working on the actual product. Our working process was based on methods we learned here at Edenspiekermann. Developing refugee and employer personas, based on our research and outlining a Product Vision Board. From that we formed our final mission. 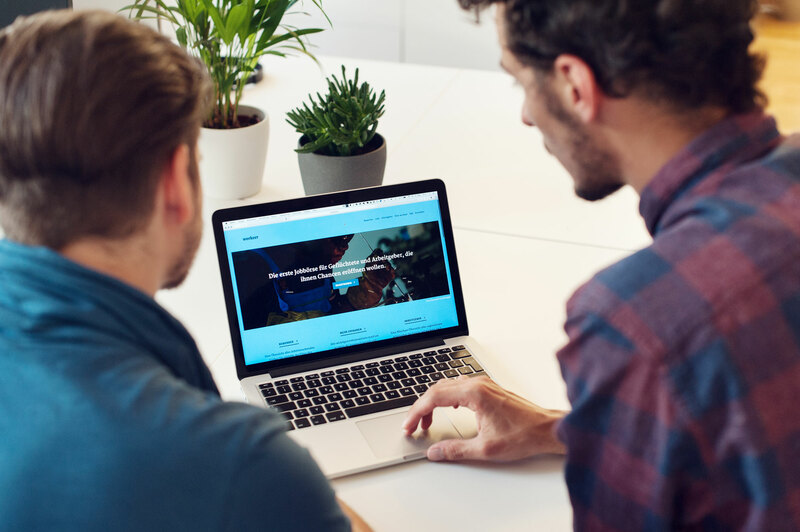 – And helps initiatives to work more efficiently when helping refugees to find jobs. – We want to approach the complex and often cluttered topic of work placement with as much clarity and simplicity as possible. – We want to make both sides visible to each other. Show refugees that there are countless employers who are willing to give them a chance and show employers the potential value the refugees could be to their companies. – We want to enable refugees and employers to get in touch with eachother as easy as possible and without any barriers. We knew that achieving all this would include a long list of content and features having to be implemented in a very short amount of time. Considering that we were only two people, the whole project seemed to be especially ambitious. But luckily, Jürgen Huber from the University HTW Berlin and Moritz Guth from Edenspiekermann took time to mentor us and helped us keep in mind that Rome wasn’t built in one day either. Again, we would profit from our previous experiences at Edenspiekermann and what we learned about scrum and agile working methods there. We took these learning as our role model and set the goal to build a first beta version of Workeer until the end of our bachelor degree. The plan was to get all the necessary functionalities done so that it would be usable and ready to be launched on the day of our presentation. If that would turn out to be a success, we wanted to come back to and improve on the project based on the feedback we got. 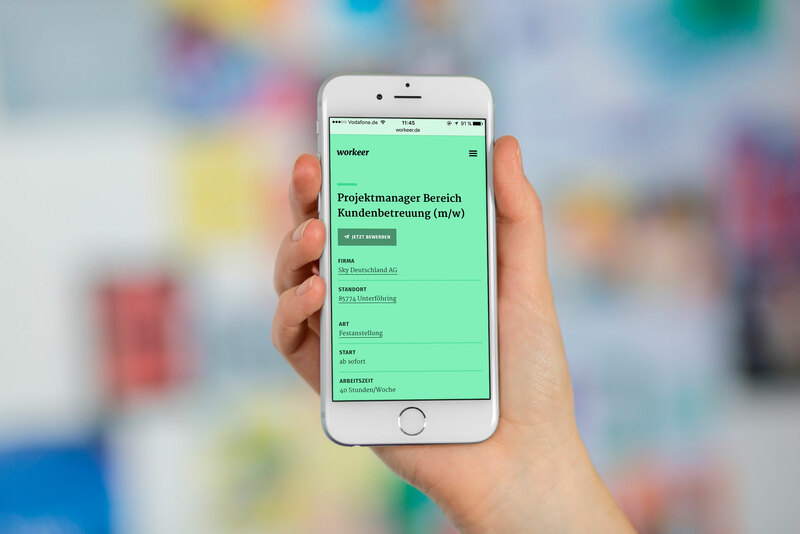 On the 27th of July we launched and presented workeer.de. We planned on inviting a small number of refugees, initiatives and employers to test the website the following days. A plan that fell apart when Philipp decided to send out a carelessly composed tweet to announce the launch to his Twitter followers. The tweet quickly gained a lot of retweets and by the evening hours it was heavily shared among German twitter users and even the first blogs started writing about our project. The next morning our email inboxes were flooded by interview requests, feedback, congratulations and questions. We decided to promote Workeer as much as possible since getting a sufficient amount of employers and refugees onboard seemed to be the most important factor to us. One of our fears was that no employer would register on a job board with no refugees and no refugee on a job board without employers. So we talked about Workeer a lot and ended up on the most relevant media channels in Germany … which proved to be very helpful as we reached a lot of employers and refugees. Now, a little over 2 months after our launch there are over 800 refugees and 1000 employers registered with a public profile. The almost 1400 jobs that are being offered exceed our expectations by several magnitudes. Just one questions is still left to be answered: How will we continue with the project? Since the feedback was so overwhelmingly positive there is no doubt we will keep working on Workeer. A special motivation for us is hearing that the first refugees have actually found jobs through Workeer. Right now we work on the platform in the evenings and on the weekends. We get support from Edenspiekermann who have made it possible for me to work on the project during my working hours, for a few hours every week. Also we are currently looking at more ways to put Workeer on a more professional, sustainable basis. We hope to update everyone soon on our new blog which we started putting together during the last Maker Days here at ESPI. It will also be the place to feature our first success stories. Follow us on Twitter or like our Facebook page to not miss out on any of those news. You can also check out some articles (Spiegel Online, DIE WELT, taz.de, jetzt.sueddeutsche.de) and media broadcasts (ZDF, Funkhaus Europa, rbb-online) if you want to get more insights on us.